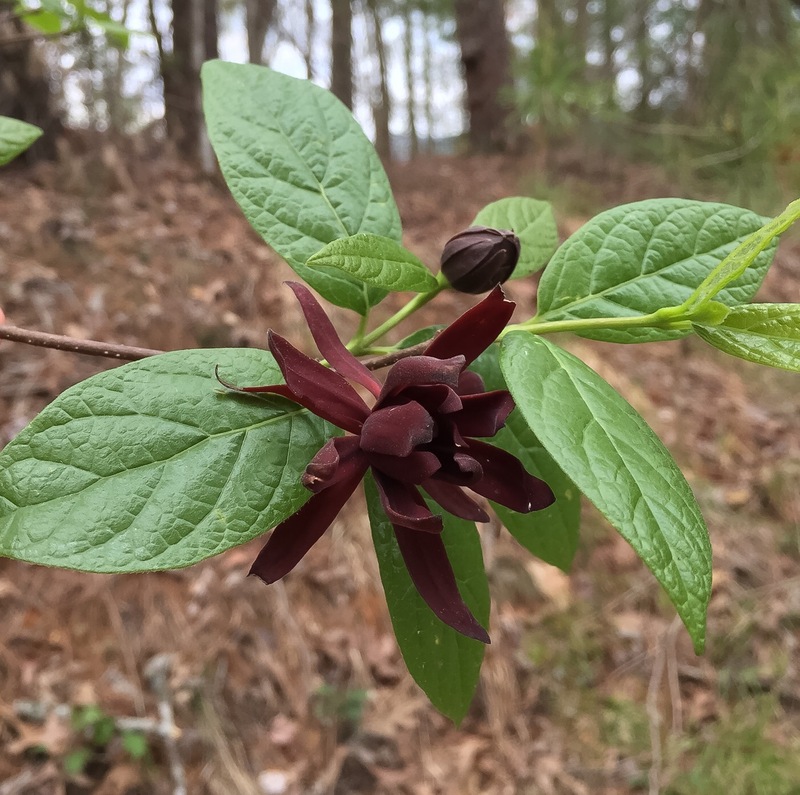 Calycanthus floridus is blooming around the neighborhood this week. The common names are derived from the sweet spicy smell of the leaves and stems. To learn more, check in at the Clemson University plant page.